Discover Snorkelling experience is your ticket to the action-packed underwater world discovery. I have never ever snorkeled; I want to experience this on my trip to Cyprus. Do I really need professional lessons or book a snorkelling guide or can I just read instructions online and dive right in? You could either do one of two things….Take a snorkel tour and soak in the knowledge from the professional Discover Snorkelling guides at easy divers cyprus. The oceans and seas can be very changeable with currents and dangerous if you don’t know what you are doing. 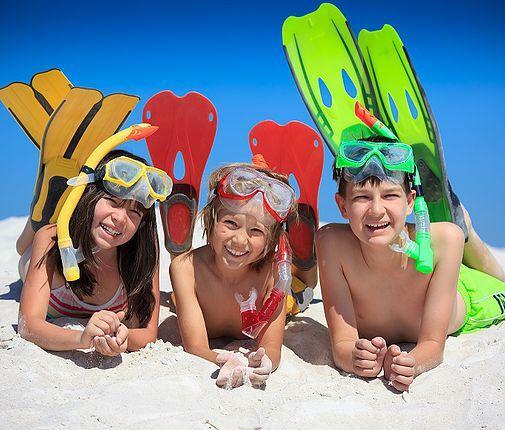 Snorkelling can be great fun for all the family, but if you like like it so much whats the next step? The Discover Snorkelling Trips cost is €35 (2 pax minimum). This includes the tuition rental of equipment and one trip in the sea. If you really love the underwater world why not try scuba diving in Cyprus? Learn to snorkel and skin dive! Explore the underwater world from the surface with easy divers in Protaras Cyprus. The PADI Skin Diver certification helps you get – and keep – your fins wet. While snorkelling is limited to peering down from the surface, skin divers generally venture further than snorkellers, making frequent surface dives to interact with aquatic life, up close and personal. The course provides basic information from one of our trained Padi Instructors on skin diving equipment, dive science, the environment, problem management and safe skin diving practices. In water training includes various techniques for donning and adjusting equipment, entering the water, checking buoyancy, surface swimming, clearing water from your snorkel and performing effortless surface dives. To enrol in the PADI Skin Diver course, you must be at least (8) eight years old and comfortable in the water. The best part is learning to use your mask, fins and snorkel so you don’t miss a moment of underwater action. Whether you’re looking at a local freshwater lake or the big blue ocean, you’ll have a new perspective on just about every body of water. You can use your new aquatic skills to explore a brand new world during an optional open water sea dive site around Cape Grecko in Cyprus. And, when you’ve finished the course, you’ll get a PADI Skin Diver certification card for your efforts and be ready for your next adventure. The PADI Skin Diver course teaches you to use basic snorkelling equipment including a mask, snorkel, fins , buoyancy control device (BCD), exposure protection like a wet suit and dive weights as needed. The PADI Skin Diver course doesn’t have any required materials, but you’ll enjoy the PADI Discover the Underwater World video. The video covers all of the great reasons to jump in and includes tips that will come in handy once you hit the water. A companion piece is The Snorkeler’s Field Guide. This handy booklet illustrates various underwater environments along with their common aquatic life. Does this interest you and you would like to learn more than Just a Snorkel Dive? Contact Us for more details.